Here are examples of wedding photography, primarily in Los Cabos area: Cabo San Lucas and San Jose del Cabo, Mexico. GVphotographer specializes in unique, well-lit and colorful wedding photos in a blend of various contemporary and traditional wedding photography styles to create pictures that best capture your day. Wedding photography is my main concentration, so feel free to look around and enjoy! Just take a gander at the wide variety in photography seen below. I experiment with each and every one of our couples. Wedding photography is not just some item on a wedding checklist; it's a chance to have an artist capture your unique relationship with your soon-to-be-spouse. It's a chance to see yourselves in the light and lens of someone else and then everyone else. 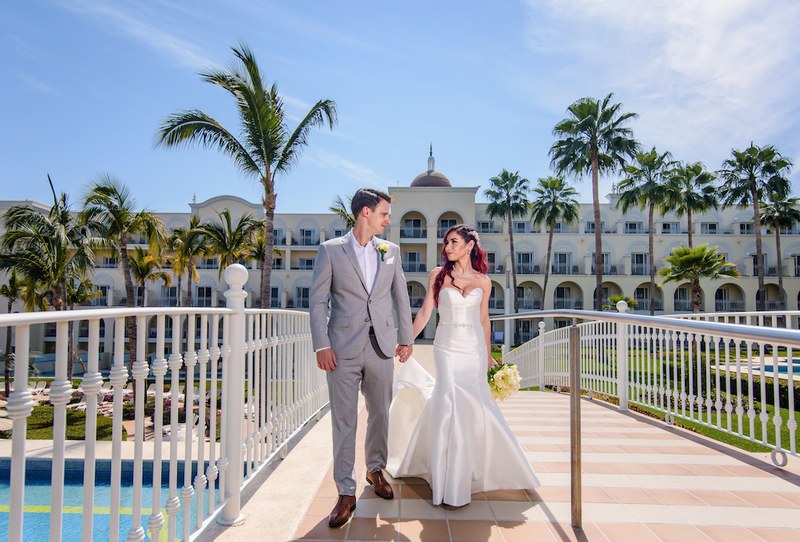 Here are many examples of wedding photography (in Cabo San Lucas and San Jose del Cabo). Wedding photography in Los Cabos is a pleasure with the many beautiful locations and beaches it hosts. Wedding photography in Los Cabos is also a pleasure with the many amazing and unique locations that Baja California Sur has to offer. Cabo San Lucas and San Jose del Cabo wedding venues often have backdrops (whether it be the sea or a view) and decorations that make the wedding photography unique and pop. I strive to create distinct images at every chance, where you see each location in a new and fresh light. There are so many great opportunities for wedding photography in Cabo. Wedding photography is a passionate art for mes, so I try to make each location unique and special. Even at locations I haven't shot at before, I am always looking for new angles and lighting to make my images pop and stand out. There are so many beautiful locations, ranging from the grogeous cliffs in the Pedregal to the many scenic and luxury hotels that dot the shorline.